This podcast is brought to you by Audible.com. Sign up today and get a free audiobook! 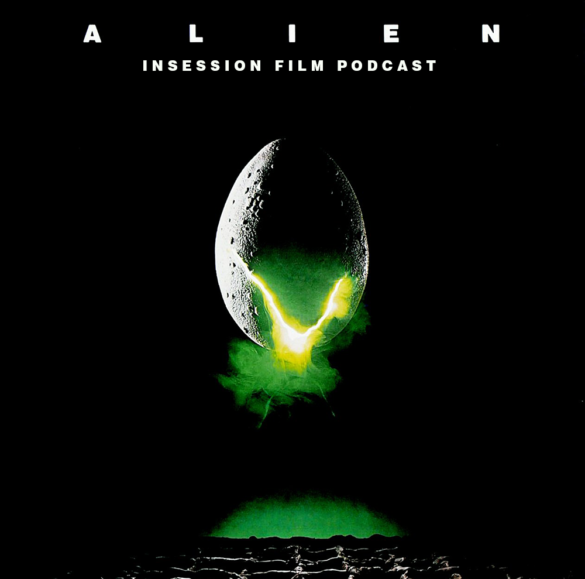 This week on the InSession Film Podcast, Justin from the Epic Film Guys podcast joins us to review Ridley Scott’s classic sci-fi horror film, Alien. We also retrospectively discuss James Cameron’s Aliens and David Fincher’s Alien 3. We had planned to also talk about Alien: Resurrection and Prometheus, but due to time, our discussion of those two films will be featured on our Ep. 221 Bonus Content. Big thanks to Justin for coming on the show, he was fantastic and added some great banter to the conversation. It was nice to finally get him on the show after getting his co-host Nick on the show last year. Both of them are great and we can’t recommend the Epic Film Guys enough. This week’s show is a big one for us, given our love for Alien and Aliens in particular, two of the best sci-fi films of all-time. Hopefully we didn’t screw it up. We put a lot of effort into our discussion for these two films and we look forward to hearing your feedback. While we didn’t have time to dig into these films as much as Alien, we still wanted to dive into the rest of this franchise and discuss why some of the sequels worked and others didn’t as much. For some people, Aliens is better than Scott’s original film, which we debated on our poll this week. Regardless of where you stand in that debate, we hope you enjoy the conversation and we did our best to give these films justice. RELATED: Listen to Episode 220 of the InSession Film Podcast where we discussed Guardians of the Galaxy Vol 2!